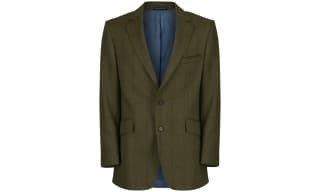 Our collection of Men’s coats and jackets from country specialists Schoffel, includes waterproof, tweed and country sport styles that offers you practicality and timeless style. Heading out for your favourite country sport? Then one of these tweed jackets is perfect, creating that classic country look whilst also insulating against the colder weather. Simply heading out on a country walk? Then our range of waterproof coats from Schoffel is perfect for keeping those showers at bay whilst also maintaining that stylish country look. Designed with the countryside in mind, you are sure to find a coat or jacket that will suit your lifestyle and will be a wardrobe staple for many years to come. No country inspired wardrobe is complete without a stylish and insulating gilet, and Schoffel offer a range of incredible designs you are sure to love. Wherever you are heading to in the great outdoors, a gilet is a great additional layer under a jacket or as a top layer over a shirt or top when the weather can’t make its mind up. 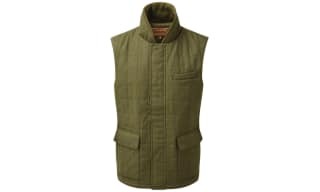 Shop the iconic Shop the best selling Oakham gilet, available in 16 colours, it is a must have for anyone who loves country style. The fleece gilet is one of our best sellers and is perfect for protecting you against those cold winds, whilst also achieving that classic country style, when worn over a shirt or jumper. 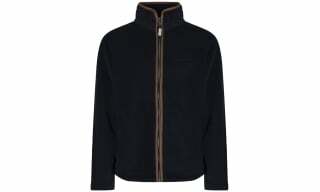 Our collection of men’s fleeces from Schoffel provides a stylish yet practical addition to anyone who loves the outdoors. In both full zip and quarter zip designs, you are sure to find something to suit your personal taste, and all styles provide excellent insulation on colder days whilst allowing enough freedom of movement to be worn on your favourite country sport or activity. Shop the best selling Cottesmore fleece, available in a variety of colours it is a must have for any country enthusiast and will be your go to layering piece whether simply walking the dog or exploring one of Britain’s breathtaking rural areas. It is no good heading out on your favourite country sport without the necessary attire to enjoy it to the full. Thankfully, our collection of shooting clothing from Schoffel is the perfect place to put together your country sport look. Layer up with one of our waterproof or tweed jackets, or add a touch more warmth to your look with a shooting vest or a gilet that combine practicality and style perfectly. The classic tattersall shirts are smart and stylish and are perfect for that post shoot meal, whilst a pair of waterproof and insulating breeks or plus two’s are essential to keeping warm and comfortable when out on pursuit. 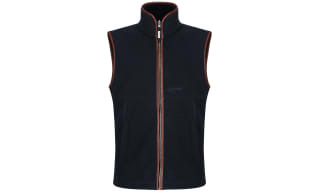 Add an extra layer or round off your country sport look with our collection of shooting vests from Schoffel. All styles combine comfort, style and practicality perfectly and offer you insulation from those cold winds when out in the countryside for long periods. In colours inspired by the countryside they are perfect to team with your jacket and breeks, and boast deep pockets to keep all your essential items safe and secure. You are sure to love the traditional yet contemporary look these vests offer, and they make a great addition to any shooting ensemble. Discover our collection of knitwear for men, from country clothing specialists Schoffel. 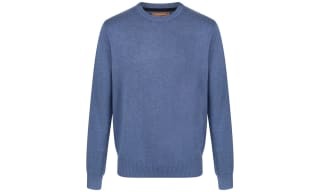 Cut from cotton and cashmere for a soft and comfortable feel, these sweaters and jumpers come in a range of colours, and in v-neck, crew neck and zip neck styles, you are sure to find something to suit your taste. These styles are perfect for adding some warmth to your look, will look great paired with your shirt or jacket, and are versatile for both smart and casual wear wherever you may be heading this season and beyond. 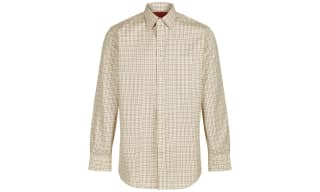 Freshen up your shirt collection with our range of styles from Schoffel. In a range of colours and styles you are sure to find something to suit your taste and to smarten up your look this season. Heading out for your favourite country sport? Then you can’t go wrong with one of our Schoffel Tattersall shirts, which helps you achieve that country sport look with ease. 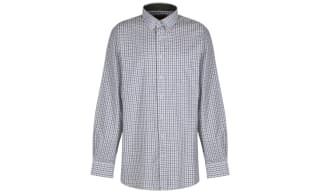 Check and oxford style shirts also feature, which simply never go out of fashion and are sure to be a wardrobe staple for many a season to come. 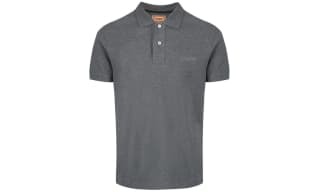 Update your smart casual look with one of our polo shirts from Schoffel. Combing classic styling with contemporary design, these polos have all been crafted from 100% cotton for a soft and breathable feel you are going to love. In a choice of colours you are sure to find something to suit your personal preference, which will be a great addition to any gentlemen’s wardrobe. Explore our collection of jeans and cord trousers for men from Schoffel. 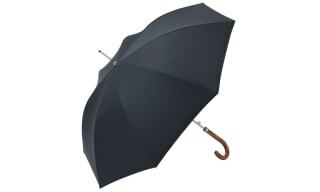 Built with style and practicality in mind, these are designed to suit many occasions both smart and casual. Build with freedom of movement in mind these come in a relaxed fit and in colours inspired by the countryside, so can be teamed with your gilet or jacket for a timeless country inspired look that never goes out of fashion. No shooting wardrobe is complete without a pair of practical and stylish breeks or overtrousers to keep you warm and dry when out in the countryside for long periods. Our collection from country clothing specialists Schoffel, offers you a range of styles that are waterproof, GORE-TEX lined and designed to allow ease of movement in the upmost comfort. 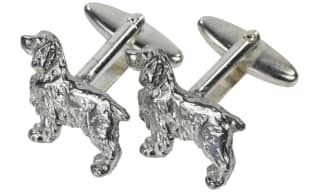 Pair these with your jacket and shirt to complete your country look, and to enjoy your country sport in the upmost comfort and style. Add the finishing touch to your look with our range of hats and caps for men from Schoffel. 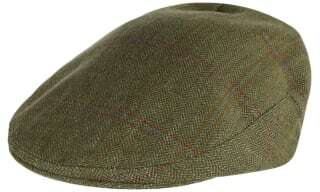 Round off your country inspired look with a classic tweed cap that is the perfect accessory to your tweed jacket, and gives you that timeless look. With tweed and coloured baseball caps for the warmer months and insulating hats for the cooler months, there is something to suit all seasons and occasions and you are sure to find something to suit your needs and tastes. 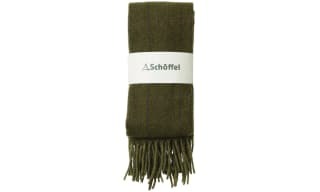 Add some additional warmth and style to your look with our range of gloves and scarves for men from Schoffel. Wherever you are heading this season, these styles come in a choice of colours and give you additional protection against those cold winds whilst adding some country inspired style to your look. Our range of shooting and boot socks from Schoffel are crafted from merino wool, offering you a super soft finish whilst also keep your feet warm and dry when out in the countryside for long periods. In a range of colours you are sure to find a style to suit your personal taste, and all styles work perfectly with your wellies or boots to keep your feet warm and comfortable all day long. 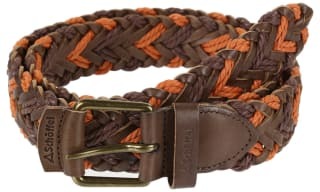 Accessorise your look with our collection of leather belts from Schoffel. In a range of colours and styles you are sure to find something to suit your personal taste or that pairs with your current country wardrobe. All these belts have a premium look and feel, have been built to last and will enhance your country look. A great treat for yourself or as a gift for a loved one. Perfect as a treat for yourself or as a gift for a loved one, explore our range of men’s handkerchiefs from country specialists Schoffel. In a range of colours and styles you are sure to find something to suit every taste which will make a stylish addition to any gentlemen’s wardrobe. 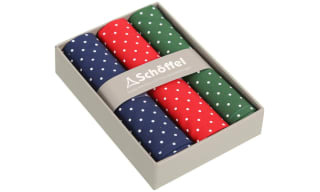 Put the finishing touch to your country inspired look with our collection of ties, cravats and cufflinks from Schoffel. Perfect for pairing with your favourite shirt, these stylish accessories are great for adding some colour and a country feel to your look, with ptarmigan embossed ties and cufflinks taking centre stage, you are sure to find the perfect accessory to complement your look. As good as Schoffel outerwear is, some days the weather goes beyond a shower or two and requires a little more to protect you from those downpours. These umbrellas from Schoffel are the perfect companions for those rainy days spent outdoors, easy to fold up and offering excellent protection, these are the perfect accessory for that unpredictable British weather. 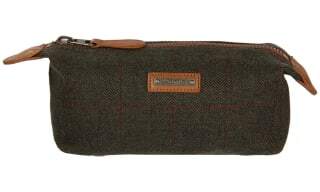 Perfect for carrying all your essentials in, this collection of men’s washbags from Schoffel are ideal for taking on your travels. Embossed in tweed designs, the bags carry that Schoffel look and branding, and will make a great gift for yourself or a loved one.